One of my favorite perks for being a Playstation Plus member is the access to a good-sized library of full game trials. 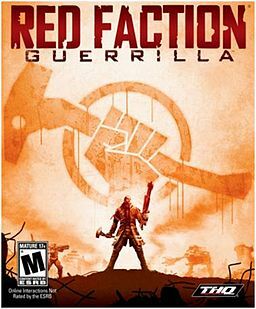 While Sony mostly puts older titles out there, there have been several that I missed out on over the years. I thought it would be fun to take a look at two older games and see what I think of them in their first hour of gameplay. I have been interested in this third person adventure game for a while now, so I was happy that Playstation Plus added it to their full game trial collection. Its story is pretty generic — your brother is part of a rebel faction, he gets killed, you join their forces — but it’s enjoyable enough fighting for what you feel is the right cause. I had a blast destroying the game’s environment, which is actually a huge part of the gameplay. The initial weapon of choice, a sledgehammer, is great for bashing everything to bits. Got a pipe in the way? Smash it up and move along. Throwing grenades onto enemy buildings, detonating and watching the structures crumble is a lot of fun. Campaign missions are fairly basic, but I had fun causing mayhem regardless. Would I keep playing? Yeah, I think I would. The in-game destruction physics are great, and I dug the game’s Mars-like setting. I’ll keep an eye out for it in the bargain bin. 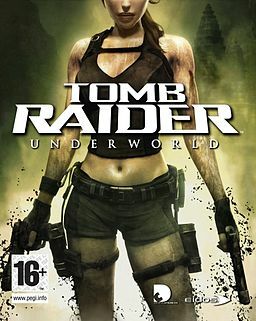 I haven’t played a Tomb Raider game in years, and I didn’t particularly like them back then. I thought it would be interesting to see if the games have improved at all over the years. Underworld throws you right into the action, providing a tutorial as you push forward through a burning building. Right off the bat I noticed issues with the controls. Something feels off with them, and the camera has a tendency to swing around involuntarily. After being transported to a boat, I found it quite comical that Lara Croft (the main character, as usual) couldn’t actually do anything on board. When I tried to get to the steering wheel, she put her hands up and pushed back as if she hit an invisible wall. Right. The gameplay consists of platforming and exploration, neither of which are executed very well. The platforming is a bit sloppy, and it caused me to plummet to my death several times in a short span. The exploration isn’t particularly enthralling either since the game’s graphics aren’t anything special. An early enemy — the kraken — looked cool, but the game certainly shows its age. Also, how the hell can Lara pick up so many pieces of treasure and stuff them in her backpack? Ridiculous. Would I keep playing? No. It’s hard to go back to a mediocre platformer after playing through the Uncharted games, both of which do everything so much better. It’s probably time for Ms. Croft to hang up her boots. What is this Playstation Plus you talk of? I havent had a PS3 for a very long time but I thought it was a free service…Are they making you pay now? Shocking! Is it actually a good online experience now? I hated all the COM’s issues and the connectivity problems. Went back to the Box. Playstation Plus is a relatively new feature where you pay a yearly or monthly fee and get a bunch of free arcade games, trials, beta invitations, and DLC. It’s pretty cool, but the only downside is you can’t keep the free stuff once your subscription is up. They do offer a lot of discounts on new games, though, and you can keep anything you pay for. The regular Playstation network is still free, and it has been improved since they had to build it back up from scratch due to this year’s hacking epidemic. It’s still not up to the level as Xbox Live, but at least it’s free.